The new Kamelot album is about to land on the shelves around the world. A follow-up to 2015’s ‘Haven’ took some time to materialize, with the band touring the continents extensively. But now the date is set in stone, 6th of April ‘The Shadow Theory’ will be released into the wild. So, what can fans expect of the album? First and foremost, the concept, and this time it highlights the topic of modern-day humanity facing a sci-fi apocalypse. In the official press-release, Thomas Youngblood goes on to ask a question: “We are subjected to stimuli constantly through media, technology, social experiments and AI. Can we still be social creatures in the near future?”. And indeed, just like the ‘Haven’ album, ‘The Shadow Theory’ lyrics have lots of debates on the matters. Throughout the album, the listeners are subjected to thematics of big corporations owning the life of people, the wastelands of ‘lost’ souls, the shadow empires leading the world to the brink of collapse. The opening duo of tracks(“The Mission” and “Phantom Divine (Shadow Empire)”) introduces the concept of “Shadow Empire”, the controlling entity, misleading the humanity with promises of eternal life and divinity. 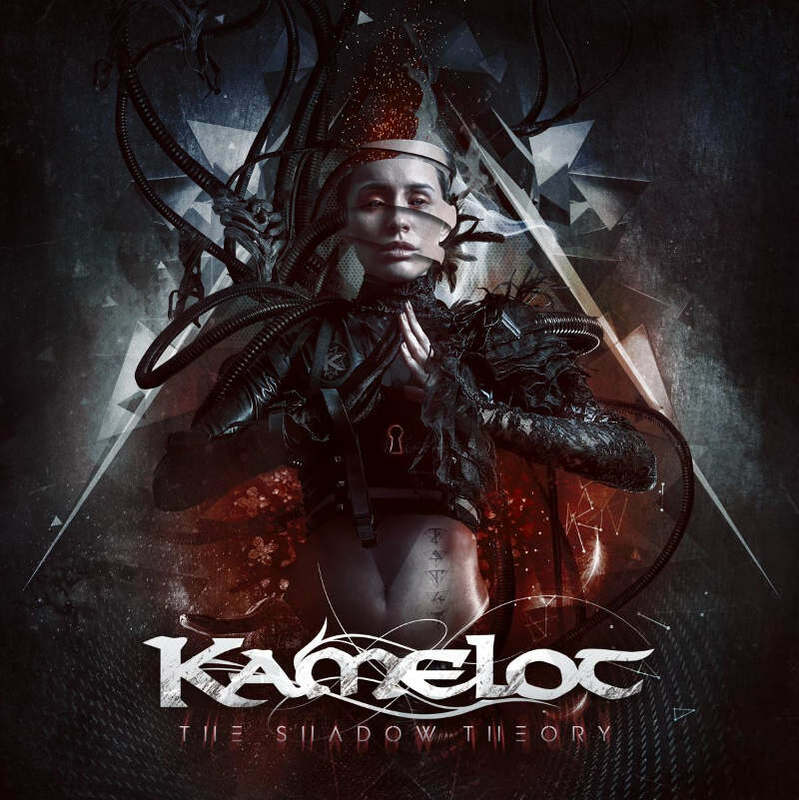 These are typical Kamelot track, dramatically symphonic, with Tommy Karevik’s dense vocals being contrasted by Lauren Hart’s. Yet, as a bit of surprise, refreshment comes with ‘Ravenlight’ and ‘Amnesiac’ tracks, guitar-rich and somewhat industrial-sounding. The guitars are harsh and the vocals are dark enough to give the feeling of being surrounded and constantly controlled by powers beyond. Things turn into dramatics again with the arrival of ‘Burns to Embrace’, keyboards and guitars full of sadness, lyrics downright depressive. The midpoint of the album is an amazing ballad, ‘In Twilight Hours’, peaceful and dramatic. An amazing job is done by Jennifer Haben, whose clean vocals are the pinnacle of this track, reassuring the listener of brighter times come if you believe. Immediately after that, the band is taking us back to danger, vulnerabilities and chaos with ‘Kevlar Skin’, ‘Static’ and ‘Mindfall Remedy’. The latter contains lots of incredible growling vocals by Lauren Hart, bringing the album back to dark apocalyptical thoughts of the album’s beginning. Things gather tension on ‘Stories Unheard’ and ‘Vespertine’, although in a more boring and restrained way. Which is then remedied by an amazing blockbuster of a track, ‘The Proud and the Broken’, that sums the album with creeping keyboard sound and absolutely intense drums. The last track is the logical outro, ‘Ministrum (Shadow Key)’, a track well worth of accompanying a soundtrack for some fable-themed computer game.